​It is highly recommended that all new beekeepers attend a Beginner Beekeeping Course. ​These are available through a number of sources in the club. Check our Beekeeping Courses Page to see when & where the next one is coming up. Our monthly meetings have an average attendance of 48. Meetings and supper in particular are an opportunity to chat with other beekeepers in the area when you can compare notes and get answers to burning questions. ​Check out our excellent library books as you partake of a delightful supper. 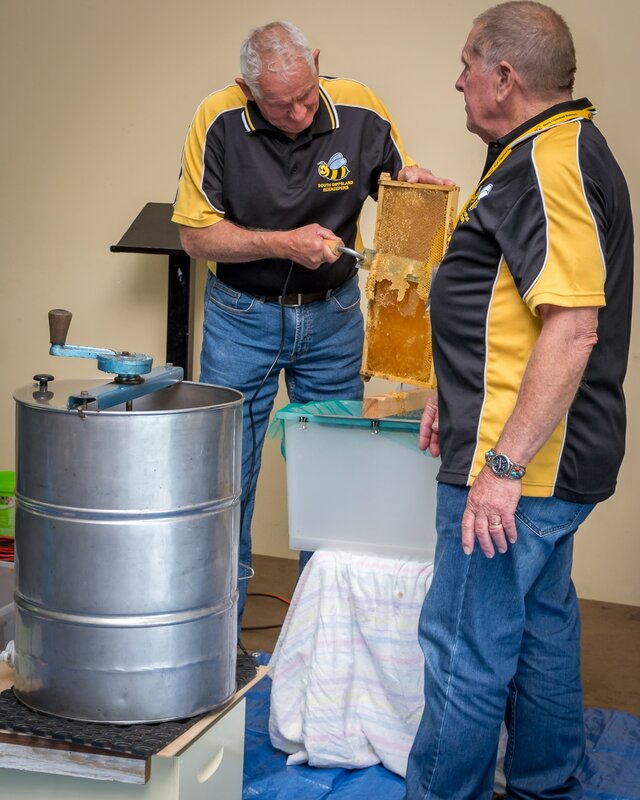 The club’s 3 frame honey extractor (a more modern version than the one pictured above), electric decapping knife and tubs plus a double strainer are available for club members to hire at very reasonable rates. Please follow this LINK for this and other club services. Community Shows and events throughout the year. The calendar on the Home page will keep you up to date with upcoming events. Above: At our first meeting for 2017, 3 of our mentors spoke to the club about the mentoring program answering questions and giving some helpful tips. Follow this LINK for contact details for our mentor's list, what to do if you have or want a swarm, getting bees for the first time and more. Above: Some of the huge crowd who came to our 2016 Field Day. 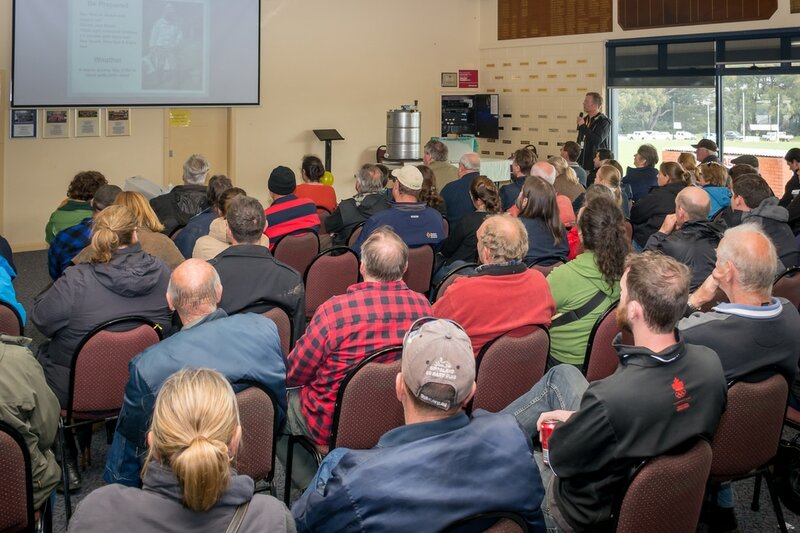 ​The club gives members notification of upcoming field days throughout the state.